Core Spaces are set to appear in front of the Design Commission with revised designs for 4th & Harrison, a 15 story apartment building. 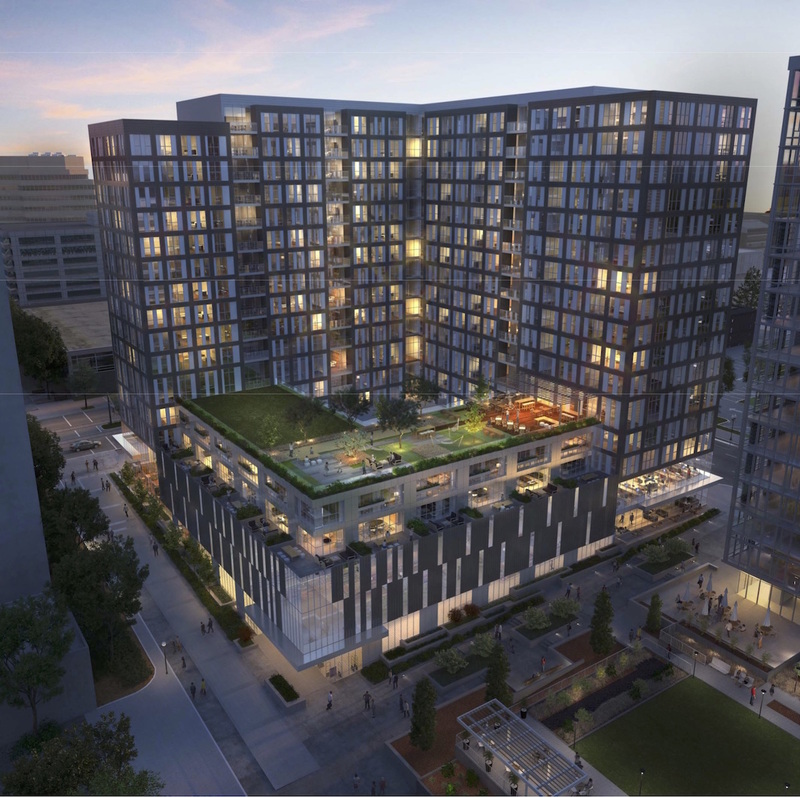 The proposed building will include 425 rental units, with a mix of studio, one, two and three bedroom apartments. According to the developer the intent is that the project will “have wide appeal including recent graduates and young professionals, families [and] empty-nesters.” Plans show a 30,000 sq ft grocery store at the ground level, along with a 5,000 sq ft ‘fast casual’ restaurant. The building will include 158 below grade car parking spaces, accessed from SW Harrison. 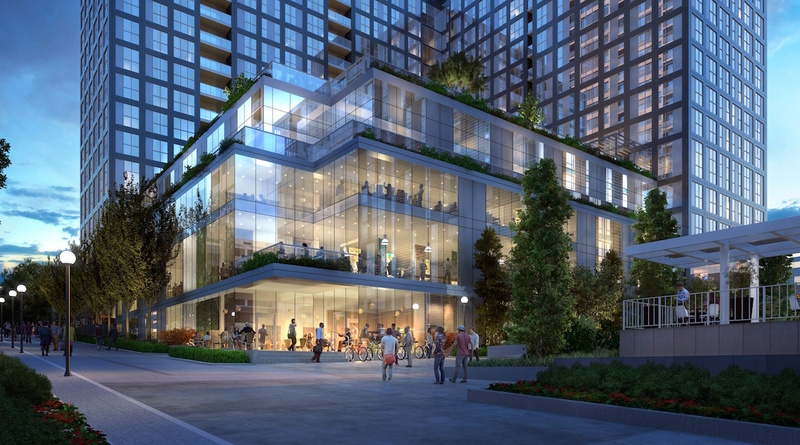 66 spaces will be reserved for the use of shoppers at the grocery store, with the remaining 92 spaces dedicated to residents of the building. 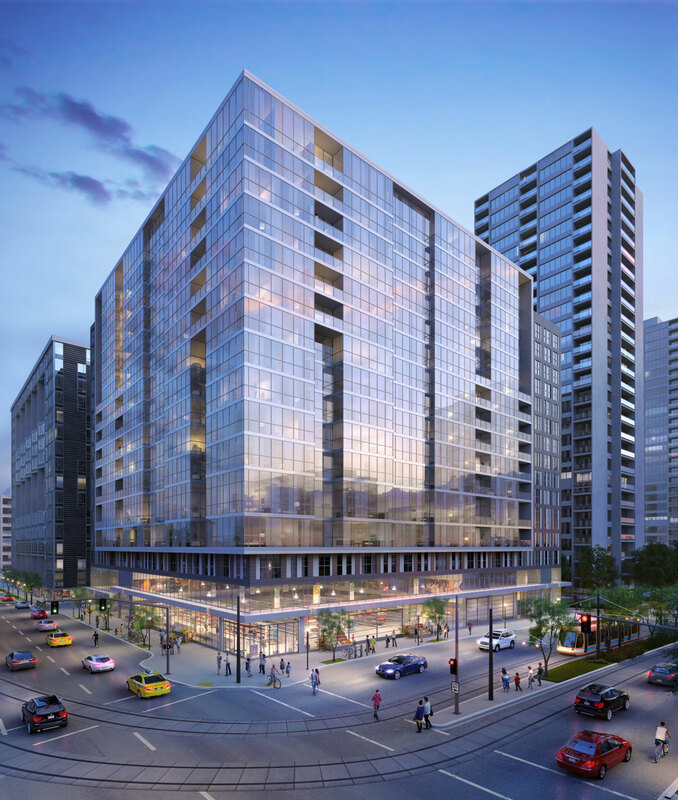 The design architects for the building are Hartshorne Plunkard Architecture of Chicago, with Portland based Myhre Group Architects acting as consulting architects.